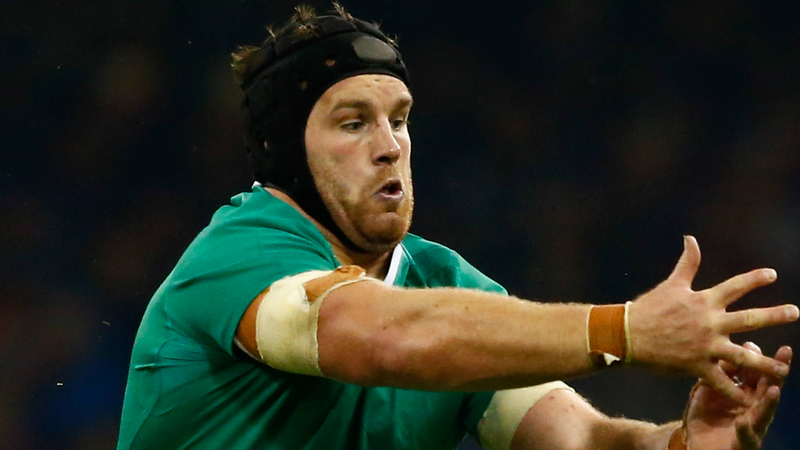 Ireland coach Joe Schmidt suspects Sean O'Brien broke his right arm in a bitter return to the Test arena for the luckless flanker. O'Brien's unfortunate run with injury continued when he was forced from the field in the first half of the 28-17 win over Argentina at Aviva Stadium on Saturday. The Leinster man was making his first international appearance since facing the same opposition 12 months ago, but his comeback was curtailed following a seemingly innocuous collision. Try-scorer Kieran Marmion, who limped off with an ankle problem after half-time, was cleared of serious damage in better news for Ireland ahead of next weekend's clash with New Zealand. "It looks like Sean has broken his right arm," Schmidt told RTE. "That's likely to keep him out of the game for a while. He's devastated, obviously. "I thought he had a pretty good start to the game. He was his physical, robust self. I know he's utterly disappointed. "I think Kieran is alright. He just rolled his ankle a little bit, so hopefully he will bounce back and be ready to go next week." Ireland were made to battle hard for victory as a series of handling errors kept the margin to a point at half-time. The Six Nations champions eventually pulled away from the plucky Pumas through Luke McGrath's try and Johnny Sexton's penalty in the final 15 minutes. "We probably didn't have a huge amount of continuity in the first quarter," Schmidt said. "From the very first kick-off we were untidy. "But our scrum was really strong and on the back of that we did get a bit of access into the game. We're really happy with that. "We did create a few opportunities, but to be fair to Argentina they're very hard to play against. They're very, very abrasive. It was a good test for us to see if we could cope. "There was a little bit of frustration but there's certainly lots to play for next week, so we're not going to go into our shell."